Job site delivery of your materials within days after placing your order. Time for a new roof? No matter where you are in Michigan, you’ve reached the right place for roofing. 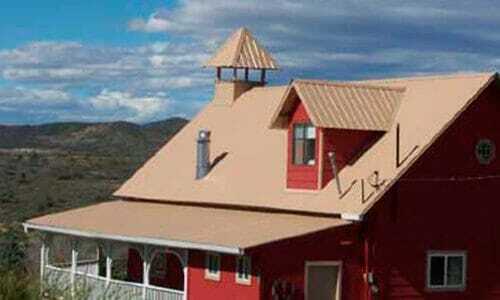 We’ve got the best roofing solutions for your home or business. Or, we might as well add, for your boathouse, since Michigan has more lakes, more freshwater coastline, and more boats than any other state in the union. Weather: Michigan’s biggest weather challenges are its thunderstorms, and its legendary lake-effect snows. A well-installed metal roof excels at keeping the rains out, and it won’t succumb to those brutal straight-line winds off the big lakes. 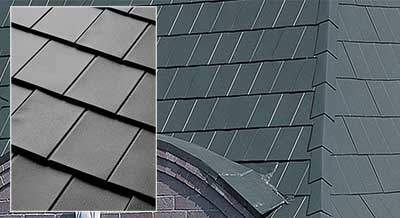 Most styles are also well known for their ability to shed snow far more easily than shingles or tiles. 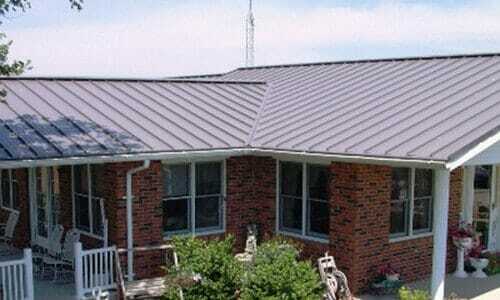 Weight: A metal roof has a significant weight advantage over other types. That’s a big deal if snow manages to pile up high. And in many cases, the lighter weight means you can apply a metal roof right over your old one – no need to tear it off and haul it away. Costs: Even though it may initially cost a bit more than other roofing materials, a metal roof is going to last you far longer. 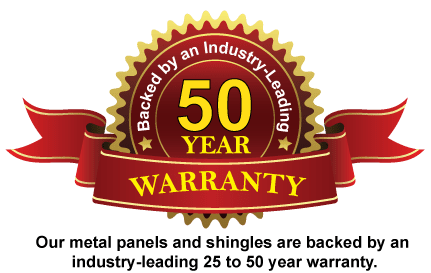 In fact, the manufacturer’s warranty on most styles is from 30 to 50 years. Could be the last roof you ever buy. And you’ll make any difference back, plus more, in your property’s resale value. Many metal styles also qualify you for the EnergyStar tax credit. We cover the whole of the Great Lake State, from the forests and mountains of the U.P. to the lakes, ponds and plains of the big Mitten. Whether they’re located in Detroit, Grand Rapids, Flint or Lansing, Ann Arbor, Midland, Sault Ste. Marie or Marquette, when Michiganders (or members of that special breed, the Yoopers) need a roof, we’re the people to call. And yes, we’ll even ship roofing Hell. The prices we’ll quote you include direct shipping, right to your job site. They’ll be valid for any location in the state, though in a few areas shipping restrictions might apply. Click here for details on shipping to your job site. Whether you’re looking for a quote, ready to order, of just have some questions, we’re here 8:00 to 5:00 Arizona time, Monday through Friday. Any other time, just leave us a message and we’ll get back to you shortly.